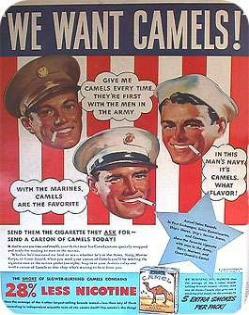 at home, since the service men are smoking them all up. 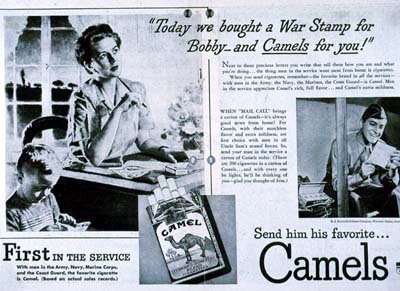 prepares to send her husband a carton of smokes. 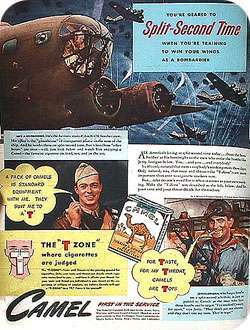 "T Zone" - T for Taste, T for Throat. 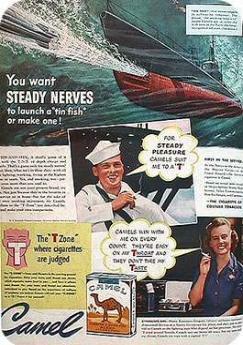 "Test them in your 'T Zone'." 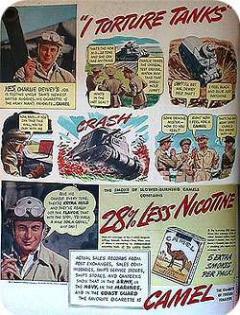 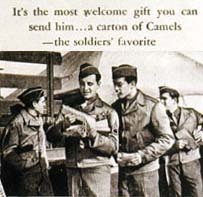 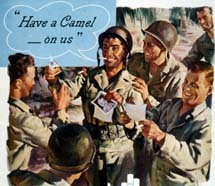 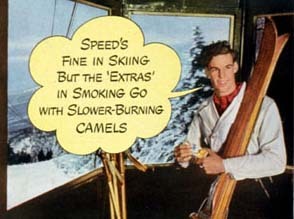 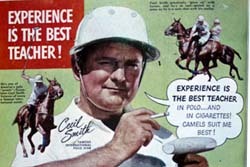 Camels says to send the soldiers cartons of cigarettes.